Each year, the World Health Organization (WHO) holds World No Tobacco Day on May 31. Their goal is to spread awareness about the risks of tobacco use and how we can make the world tobacco free. Roughly 6 million people die from tobacco-related ailments every year. And that number is projected to rise to over 8 million by 2030. But this is by no means a guarantee. The Sustainable Development Agenda aims to reduce deaths from noninfectious diseases by a third. Diseases linked to tobacco are on the list, so if we hit the target, 2030 will be a year to celebrate (oh yea! )—not only for our health, but the size of our wallets. 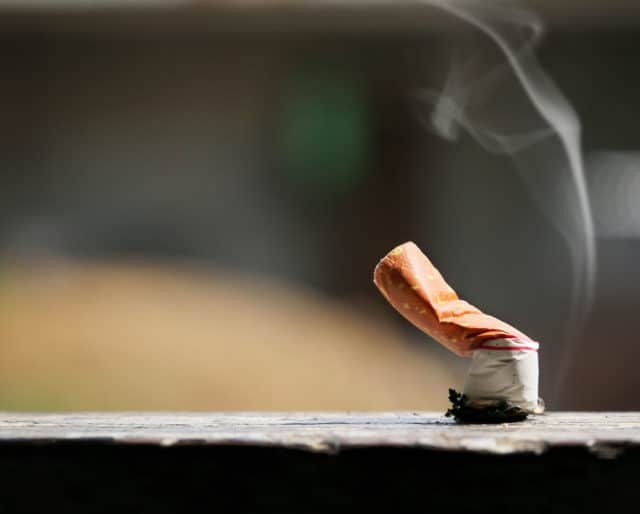 Your average smoker drops around $4,000 on cigarettes annually. Imagine all of the other cool holidays you could enjoy with that money (we have a few suggestions, just saying). So let’s use World No Tobacco Day as a launching pad to a brighter and less smokey future! You might not be ready to quit, and who can blame you? It's tough. But you can start laying the groundwork for your exit by counting the number of cigarettes you smoke in a day. You'll start to think more about your health and the amount of money you put into tobacco. When you're ready to take the plunge, there are plenty of self-help books that will guide you through the early rocky stages. You can do it! As they say, the best way to quit smoking is to never start. So try and encourage young people around you to avoid the habit altogether. Depending on where you live, there might be a march or some public demonstrations. Maybe you can design a cool poster to help promote them. Better yet, hold a contest to see who can create the best anti-smoking poster. Teenagers can be a bit mischievous, so you'll want to clearly define what's “appropriate” before they hit you with the final reveal. Warning labels on cigarette boxes deter people from smoking. Petition to support these laws so that the trend continues to gain momentum. Also, plain packaging laws could also use some more backing. These laws place restrictions on the logos and colors of tobacco products, which make them tougher to sell. You know how you can't judge a book by its cover? Well, people definitely judge a product by its packaging. If label looks drab, we're less likely to pay it any mind, and that's totally not shallow. It's not like tobacco has a good personality on the inside. Around 80% of deaths due to tobacco happen in low and middle income countries. In other words,the poorest people are the ones most negatively affected. Due to addiction, money that could be used on education, food, or health care, goes to tobacco. Over the years, this decreases productivity and drives up the cost of health care. That’s not a pretty picture for any income, and it's a sure-fire way to keep the less fortunate impoverished. Second-hand smoke causes over 600,000 deaths a year. Sadly, about 28% of the victims are kids. But considering that nearly 50% of children breathe smoky air in public places, we're lucky that the rate isn't higher. Many cities and states already have public smoking bans, but it will take more work to get everybody on board. This is one time when you can jump on the bandwagon without losing any cool points—we promise. Growing tobacco takes a lot of pesticides and fertilizers. Some of these toxic elements can seep into water supplies, but the damage doesn't stop there. The manufacturing process creates more than 2 million tons of waste and consumes 4.3 million hectares of land. It's estimated that this contributes between 2% and 4% of the world's deforestation. If you like to breathe air (we're pretty big fans of it), it's worth saving as much of our forests as possible. A few less tobacco farms could help.